This is the message I received in my mailbox today, 12 February 2018 at 16:14. I could not have asked for a better present than this one. It came right at a time when most of my web platforms are due for upgrades. As part of the 2018 Valentine’s Day celebration, I will definitely spoil myself with this special offer from Themify. 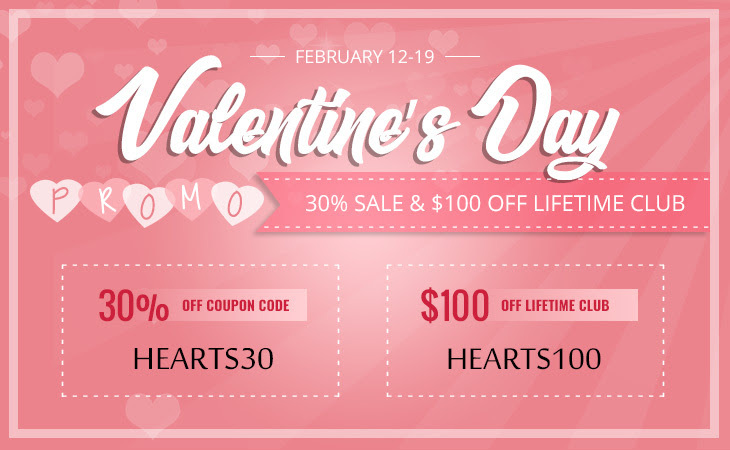 According to Themify, there will be a 30% OFF all products (excluding the Lifetime Club), and $100 OFF the Lifetime Club – starting today 12 February 2018 and ending on Monday, February 19, 2018 at 11:59pm EST. Announcement- courtesy of Themify official blog post.